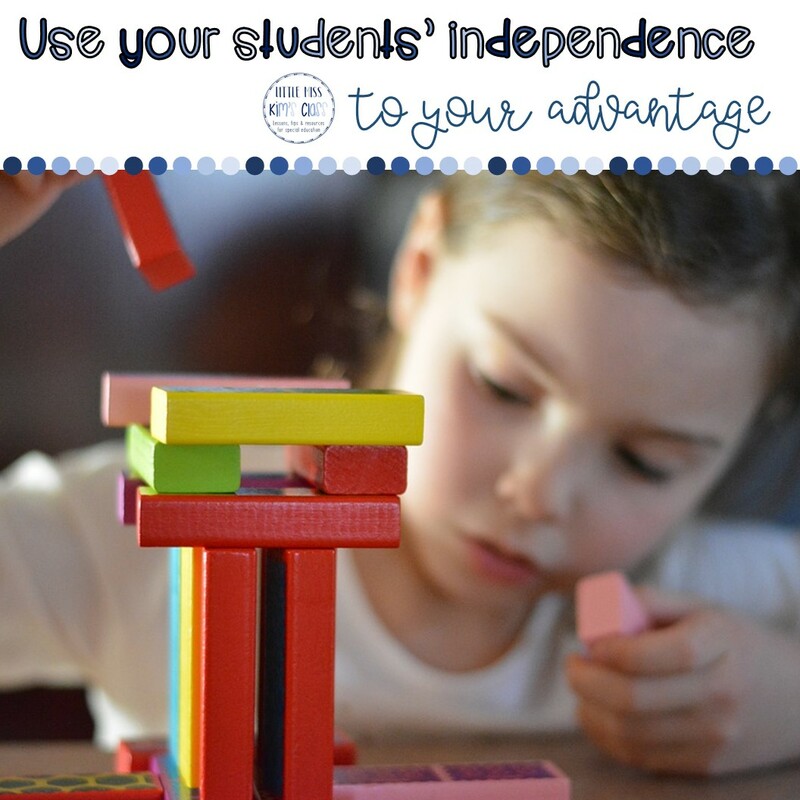 I've shared a lot about how I love to teach my students to play independently and with peers without adult support. First, this is an amazing functional and social skill. 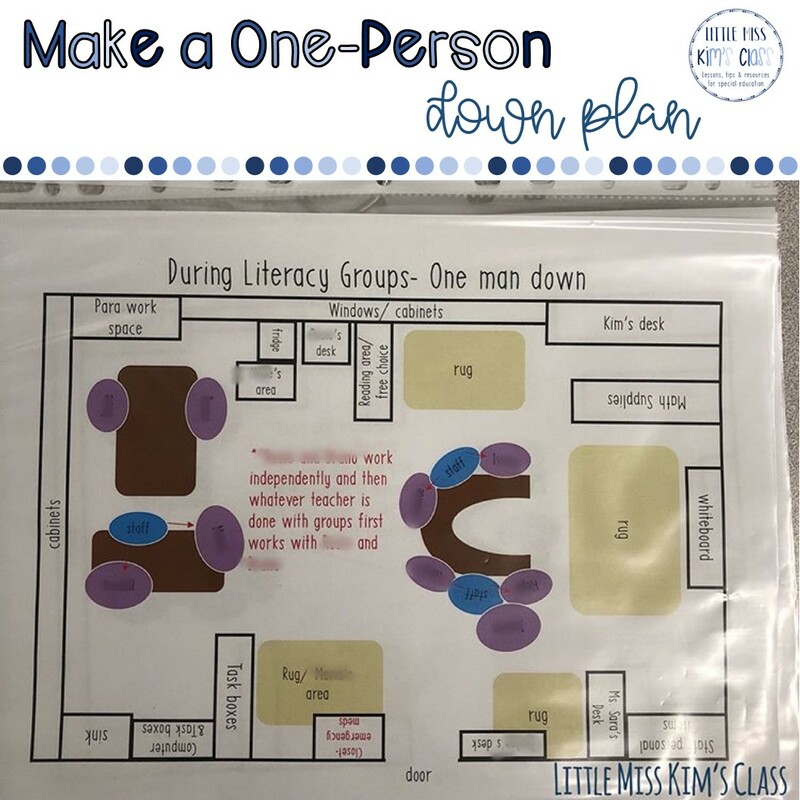 Second, this allows classroom staff to run groups with other students while some students are playing appropriately and safely. ⁣I want to start by saying that this process takes TIME, patience and a lot of reinforcement! 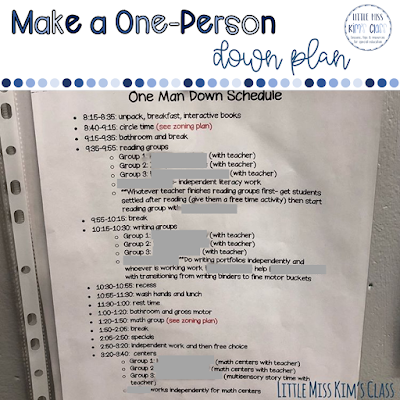 Many of our students have spent much of their academic lives with a teacher or para glued to their side prompting them, so we have to work on fading these prompts during play time (and really the entire school day!). •We set up play activities at 1-3 tables, depending on the time of day. We include activities like cars/ trains, variety of building materials, make believe cooking, etc. I focus on picking activities that students are interested in and will be motivated to sit and attend to. I store the play materials in labeled drawers and I switch the activities weekly. •Each table is marked with four colored squares. We started the year with laminated squares that were glued to the table, but those obviously didn't last 😂 So now our squares are drawn onto the table with colored permanent markers. 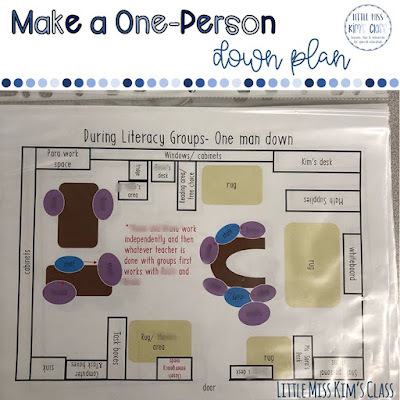 Students must be sitting at a square at a table at all times to have the toy/ activity. If all 4 spots are taken at a table, then students must pick another table with an open square/ spot. This year, students are allowed to move from table to table freely whenever they want. However, in years past, I have had to set a timer for students to prompt them to stay at a table for longer periods of time and to keep them from going from table to table every few minutes. •We gave frequent reinforcement for appropriate play at the beginning! Kids were constantly get stamps/ stickers on their charts, verbal praise, skittles, you name it, the first few months while we taught them the desired behaviors. ⁣We continue to give reinforcement for positive independent play, but it is not as frequent as at the beginning of the year. What questions do you still have?! Is teaching your students to play without adult support something you’re interested in trying or are you already doing it? Teaching my students to meditate and breathing techniques is one of my greatest joys! Meditation and breathing can provide students with amazing regulation skills and the ability to calm their bodies and minds in a variety of tough situations. A friend and old colleague (who is PE teacher) first opened my eyes to teaching meditation and mindfulness practice to students. Many of these ideas are from her but were adapted for students with disabilities/ special needs. It's important to know that this was process and we had to build up to doing 7 minute meditations! When we first started, our students wouldn't just sit/ lay down to do even a one minute meditation. We started by teaching students a breath a day using the below Breath With Me Book. The book has super fun, simple and engaging breaths. We would teach students the breaths during circle time, during break time, or any time that it was appropriate/ natural. We made sure to teach students the breaths when they were regulated and then would reinforce using the breaths when they were dysregulated. We would encourage students to take a breath if they were mad, upset, frustrated, etc. We would say something like, "If you're feeling mad, you can try a bunny breath. Let's do one together!" and then we would model the bunny breath. You can find the Breathe With Me book on Amazon here. If you want to get some fun breath ideas without buying the book, check out the author's Facebook page, The Village Resources. It was amazing to watch because after just a few short weeks, our students started to identify when they need to take a breath and they would start independently doing the breaths! Once students were engaged/ interested in the doing the breaths, we started doing them as whole group activities. We would sit in a little circle and pass the book around and each student would pick a breath in the book and "lead the group in a breath." After a month or two of just doing breathing techniques, we started doing short guided meditations. We started with the shortest meditations we could find, which were about 3 minutes, but now our students can do 5-7 minute long meditations! We would either have students sit or lay down on a specific spot on the carpet for the meditation or have students sit at their table/ desk spot. Prior to starting the guided meditation, teachers walk around and will spray room spray in student's areas if they give the teacher a "thumbs up" to indicate that they want a spray (obviously make sure there aren't any allergies are parents are okay with this!). During the guided meditation, teachers walk around the classroom provide shoulder/ back squeezes or pressure (similar to in a yoga class). Teachers quietly whisper to students, "Yes or no?" so every student has the ability to tell the teacher if he/she wants the shoulder/ back squeezes or pressure. If you have Apple music, below are my favorite Albums for short and kid-friendly guided meditations. 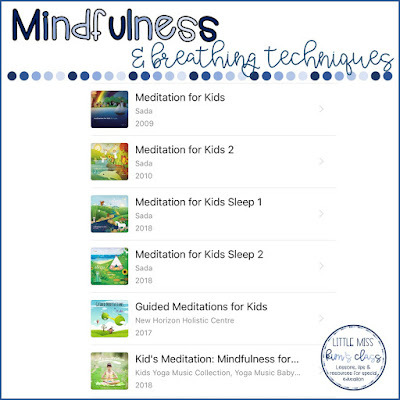 We also do mindfulness and breathing activities for 3-7 minutes right before a few of the most stressful or chaotic transitions of the day for our students: before lunch and recess, before inclusion times, and before dismissal. We also do them before we have any schedule or routine changes. -We have a 30 minute gross motor/ exercise time in our schedule and we typically do a mindfulness/ breathing activity for the last 5-10 minutes of the exercise group. -If students seem anxious or upset, we will ask them if they want to do a meditation or take a breath with us. -My students have gained the ability to regulate their emotions more effectively and independently! 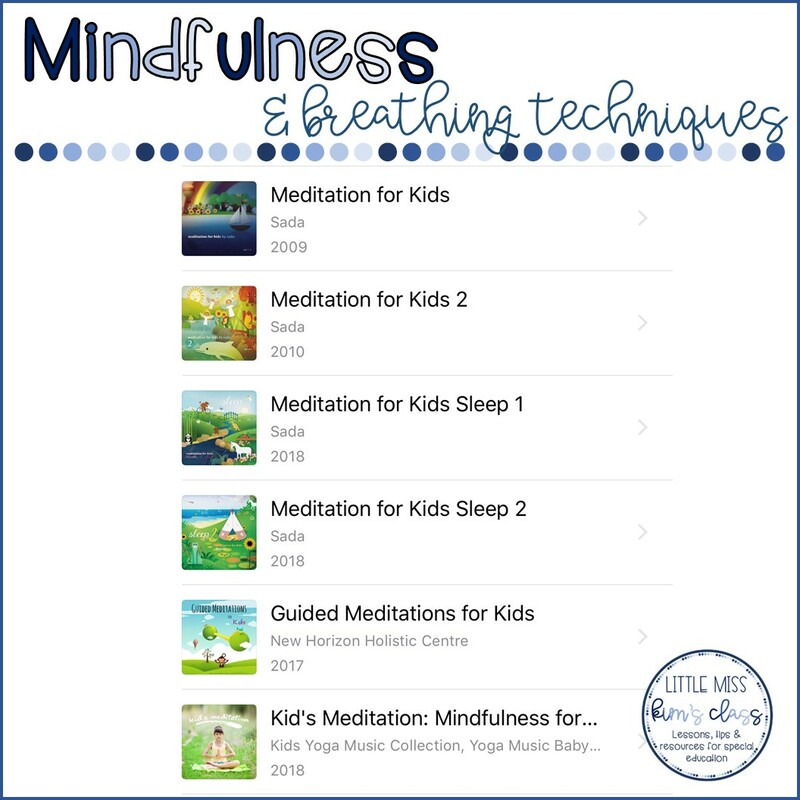 -Many of my students have learned to use the breaths to ease their nerves during stressful situations and generalized the skill even at home and outside of the classroom! -For students who refuse to participate: We let them refuse to participate. We can't MAKE students do anything. However, we do our best to make participating rewarding to encourage students to want to participate. We do this by using the spray, a breathing ball and providing positive reinforcement to students who participate (stamps/ stickers on charts, edibles for certain students, etc.). -Alternative activities for students who refuse to participate: A regular choice for our students if they refuse to participate in what is on the schedule is independent work. So if students refuse to do meditation, we will say, "Do you want to do meditation or independent work?" If you haven't tried mindfulness or breathing in your classroom yet, I encourage you to try it! The impact it can have on your students and staff is magical! 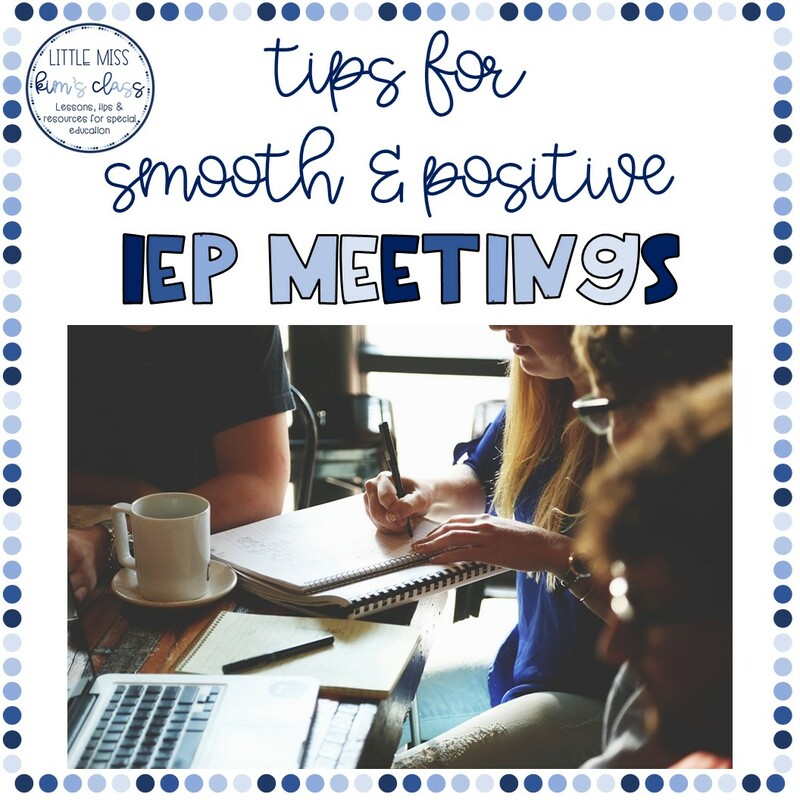 IEP meetings can be stressful for teachers and parents, but a little pre-planning can make IEP meetings go smoother and more positive! 1) Start each IEP meeting by sharing POSITIVE things about the student. IEP meetings naturally include a lot of conversation about a student's needs or what the student still needs to learn/ work on that might sound negative. So start every IEP meeting with something positive about the student! Share a sweet or funny story about the student from the last few weeks, share about on a new skill the student has learned, just make sure that you really focus on starting the meeting with a positive and continuing to share positives throughout the meeting. 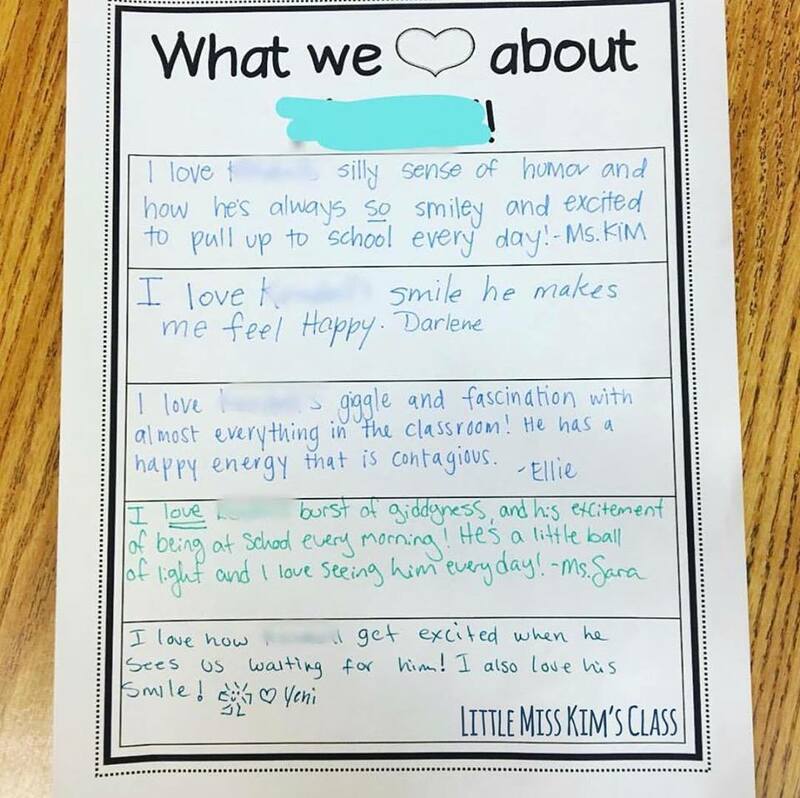 I like to fill out this little "What we love about ___." before IEP meetings and I even have therapists and/or paraprofessionals fill it out too! It's a fun way to ensure that the entire team is included and the parent can even take the paper home! You can download this free shout out page here. 2) Schedule time to talk to general ed teacher prior to meeting. Most general education teachers have been apart of dozens of IEP meetings. However, many of them will likely tell you that they don't know their role during IEP meetings. I've encountered this numerous times, so I always make sure I take time prior to IEP meetings to talk with general education teachers about their roles during IEP meetings. Make sure general ed teachers know exactly what you need/ expect from them. Explain to general ed teachers what type of questions parents might ask them at the meeting, what kind of data/ student work would be helpful to bring, what they should be ready to share at the meeting, etc. so they can feel as prepared as possible. 3) Get parent input before the meeting. Some districts require schools to send a copy of the draft IEP home prior to the meeting, some districts make schools write the entire IEP as a team at the meeting, every district has different expectations. You obviously need to follow your district/ state protocol, but if you aren't required to send a draft home prior to the meeting and you come the meeting with a draft IEP, then I highly suggest talking to the parents before the meeting about their wants, hopes and input. What skills/ tasks do you want your child to work on/ improve on? Any specific academic tasks, functional/ daily living tasks, communication skills, etc.? What are your child's strength and areas for growth? What are your child's favorite things (foods, activities, etc.)? 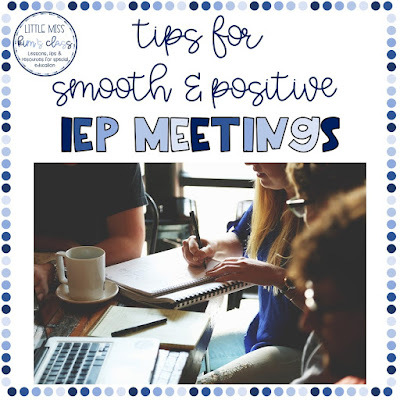 I hope these tips help you to start 2019 with a smooth and positive IEP meeting! As special education teachers, it's important that we work closely with general education teachers to ensure that our students are successful when they are in the general education classroom. However, this can sometimes be difficult due to a variety of reasons like. I truly believe that the most important aspects of partnering with general education teachers are: building relationships, having open communication and sharing information about students with the teachers. If you can do these things well, then you are most likely going to be able to work together well to meet all students' needs. -Schedule time to meet with general education teachers to discuss caseloads and groups of students that they will have. -Put yourself in the general education shoes and think, "What would I want to know about this student ahead of time?" -You'll want to share and explain students' IEP and important information with gen ed teachers. Make sure that you focus on the parts of the IEP that are most important to gen ed teachers, like: accommodations, modifications, behavioral supports and what they're working on academically, socially, etc. It might be helpful to give teachers a one page print out/ explanation of these things in addition to a copy of the IEP. 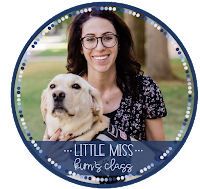 -You can use this free and editable "All About Me" template to create a simple one pager for general education teachers. If the school year has already started and you haven't been able to do some of these, you can obviously catch up and do these at any time in the year! But I suggest doing them as early on in the year or before school starts, if possible! 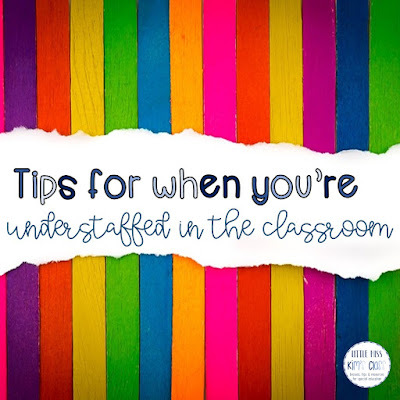 -If you have students who go to general education classes without support or with a paraprofessional, then ask your administration to hire a sub or cover your classroom for an hour so that you can go to the to do observations once a month or every other month. 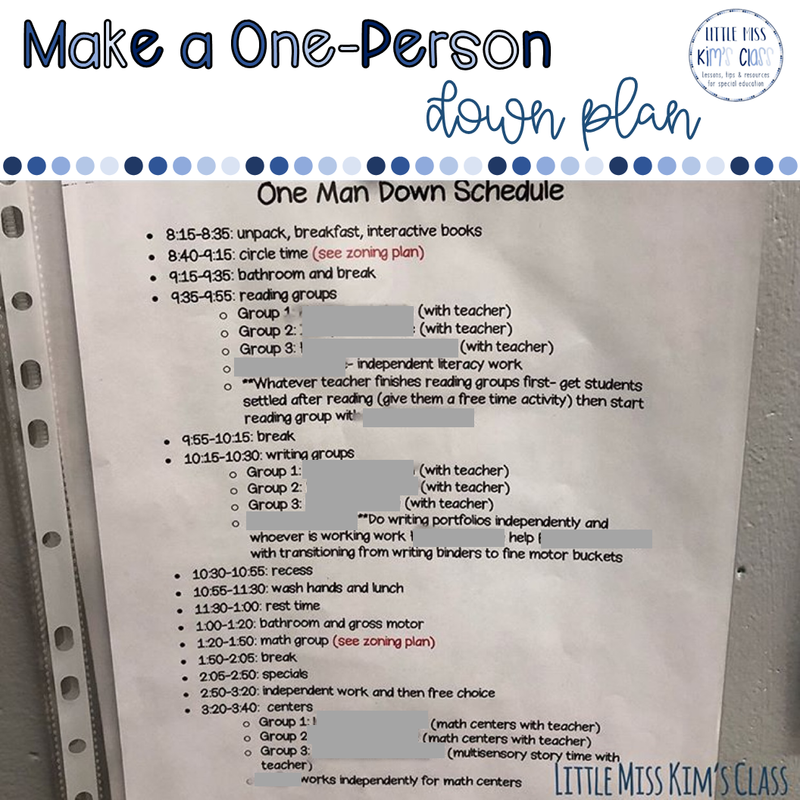 This is really helpful if you have a student who is struggling with something in the general ed classroom because then you can see first hand what is going on and then support the teacher and give the teacher and/or paraprofessional tips and ideas on how to work through it. You can also jump in and model how to manage the specific situation. -Schedule weekly/ monthly check-ins with teachers to see how things are going and problem solve. Check-ins don't have to be in person or time consuming, but they are important! 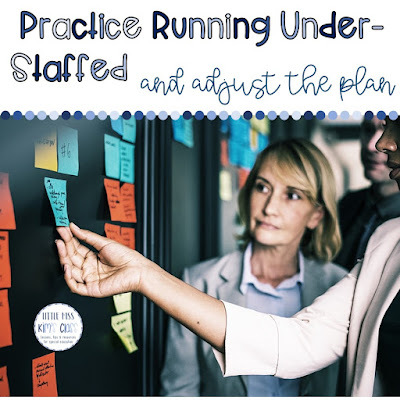 You can go as far as scheduling sit-down meetings once a month with general ed teachers to talk about how things are going or you can just send out monthly emails to check in and see if teachers need anything. These check-ins will go a long way in building relationships and problem solving before problems get out of control. If you are going to send out monthly check-in emails, I suggest putting in your calendar for the entire year to remind yourself and to keep yourself accountable! -Invite and include general education teachers in your parent-teacher conferences, home visits, parties, and after school events with parents! They won't be able to come all the time but it will be amazing when they are able to! -Give general ed teachers treats for their birthday and holidays! You don't have to go spend a ton of money on them, but having your students make or sign a card for them on holidays will make gen ed teachers feel more connected to the student (and you!). Again, that relationship piece is SO important! -Make sure that you reach out to general ed teachers before IEP meetings about how students are doing in gen ed. It's best for general ed teachers to know what to expect before walking into the meeting and we should obviously be including the general education teacher's input in the IEP. 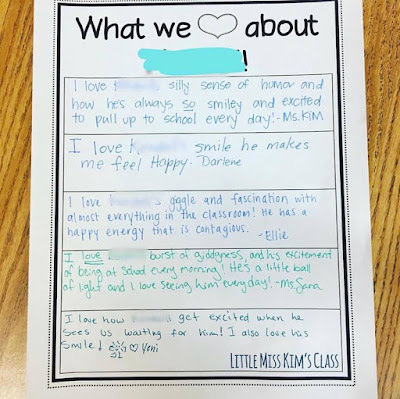 How is ___ doing in your class? What's going well? Is there anything that isn't going well? Is there anything you'd like ___ to work on in your class? Do you think the amount of time ___ is spending in your class seems appropriate? Do you think there are other times in the school day that __ could be included in your classroom that he/she isn't already? (I'm NOT pre-determining before the IEP meeting here, just trying to get an idea of how the current time is working). At the end of the day, it's important that general education teachers feel supported by US so that they are confident in supporting and working with ALL students. If you have any tips for working with general education teachers, leave them in the comments!